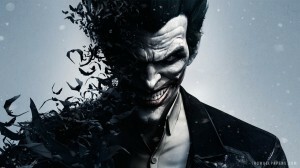 Developed by Rocksteady Studios, Batman: Arkham Asylum (2009) and Batman: Arkham City (2011) are among the most highly-rated games of this generation. For the next game in the Arkham canon however, the studio have handed the reins over to little-known WB Montreal for Batman: Arkham Origins, a prequel which centres on a formative day in The Dark Knight’s early career. 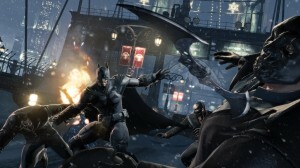 Though there is much that looks to be similar to Rocksteady’s previous iterations (by no means a bad thing), at first glance there has been plenty of innovation as well, from new gameplay mechanics such as the revamped ‘Detective Mode’ to fresh takes on villains such as Black Mask, Copperhead and more. Another one of those new elements is the voice cast. Kevin Conroy and Mark Hamill voiced Batman and Joker in both Asylum and City, but for Arkham Origins Roger Craig Smith and Troy Baker will be voicing the iconic characters. Flicks and the City caught up with the new stewards to discuss what it was like following on from such esteemed voice actors, in addition to the audition process. You’re joining an esteemed list of actors that have played Batman and The Joker, most notably Kevin Conroy and Mark Hamill in terms of voice artists. How does it make you feel to be following on from those guys? Troy Baker: I have to say I love the way you phrase that. That we’re joining the list, I really feel like that’s what it is. Provided people appreciate what we do and it resonates with them, I can see us metaphorically being chiseled onto the wall along with some really great names. You take as much ownership of this as you can but in reality you’re more like custodians of these roles. You’re given the privilege of being a steward of them for a brief amount of time and all you can do is just make sure that you convey the character in the best possible way you can. It’s great when you start with a good story, I would hate to try to do this role with a really bad story or with really bad writing, so I think a lot of our confidence has come from having a wonderful foundation to start from. TB: And we’re part of that too. We both look to Kevin and Mark. RCS: “And don’t mess with our characters!” That’s where it comes from. It’s the passion of the people going, “We love this, please don’t do anything to it that could [ruin it].” Thankfully the passion Eric Holmes has on this project is immense and right away you knew you were in good hands. This is someone who’s passionate and fights tooth and nail to get it to be this collective vision with everybody working together. When I realised what we were doing with it being a prequel and that kind of thing I went, “Ok good,” because it doesn’t have to be a one-to-one match. It was like, “I’m not going to be that guy”, I wouldn’t want to be that individual that’s…. RCS: Exactly. You can’t do that; so that’s not at all what we’re doing and that’s why the honour of getting to be involved with something this massive is incredible. Like what you were saying, chiseling your name on the wall. Could it get any better? No. It’s incredible. When it came to auditioning, how much of The Joker or Batman’s voices did you have down before you went in? Or do you find it during the audition? TB: My friend, I had no idea until I was in the room, to be really honest with you. I think part of that is, as stupid as it sounds, there’s just a reverence that I have for that character, and specifically for what Mark Hamill did with the role. I didn’t even know that I was auditioning for The Joker when I walked in. I had an audition, just like we always do. I knew I was reading for the role of “Jack.” I went in and then they handed me the audition material, so it was literally on the spot, “Here you go.” I looked and I went, “This is from Batman: The Animated Series, this is from Arkham Asylum, this is from the Killing Joke.” So I walked in and I was like, “Ok, let’s drop all pretences. This is The Joker.” And they were like, “How did you know that?” And I said, “Because that’s what this is!” I decided in that moment that I didn’t care if I got the role or not, it wasn’t about that. For three minutes I was going to live inside of this face, that the 12-year-old boy in me could finally see if he could do this and hear that Killing Joke monologue out loud. RCS: It was the same thing for me. I had no idea what we were auditioning for and I am nowhere near as schooled in the background of the entire lineage of the whole Batman franchise as Troy is. I went in for an audition, got a call-back audition. A funny little story is me leaving that audition and texting the casting director saying, “Why isn’t Troy Baker there? He’d be perfect for the role of Batman.” Her replying with, “A funny story, we’ll talk later!” He’d already been cast as The Joker. When she called and said, “Ok, they’re going with you and Troy as The Joker,” I went, “Oh my gosh you’re kidding me!” I went back and Eric Holmes gave me a copy of Batman: Year One to go back and get an idea of the tonality they wanted to pick up with this performance. But he also said it’s not necessarily all that. I went back and replayed Arkham Asylum and Arkham City and went, “Ok but I don’t know if I want to get too many versions of this in my head.” Usually I just try to drown all that stuff out. What’s the recording process like? Do you get to interact or are you alone? RCS: A little bit of both on this one. For me, I was working closely with Martin Jarvis who voices Alfred in this which was an absolute honour, he’s just the coolest guy. He and I definitely connected, and I think it comes through because a lot of what is going on with Batman in this version is a discovery of how the relationships with all these people in his world affect him. Troy and I got to work on a couple of occasions, but primarily it was me by myself. TB: It’s always interesting to find out the process that each game has. Sometimes it’s performance capture, sometimes you’re lip-syncing. One thing that’s universal is that a lot of times you have to create the situation you’re trying to portray. You’re not really fighting someone, you’re just in a room, so it’s always a unique challenge to provide all that energy you’d have in that situation and make it believable. Once you see the cinematics with your voice, it must be quite a moment for you guys. TB: It’s incredible! Think about all the hands that have touched these roles…We’re figureheads, but there are almost 150 people that worked to create the trailers and then the game. I remember seeing the first trailer and going “Are you kidding me? !” We’re gamers, so we’re used to seeing some things, but it just looked so good. It never gets old to watch. And now, for some quick-fire questions… Favourite Batmobile? TB & RCS: The Dark Knight. TB & RCS: Arkham Origins. It’s MacGyver! TB: Killing Joke or Arkham Asylum. It’s a toss-up between the two. RCS: I actually really liked Christian Bale’s performance. It’s such a polarising thing, but every step along the way it made absolutely perfect sense to me. Batman: Arkham Origins is out on PS3, XBOX 360, and PC now.